No printed materials will be shipped. Digital items are sent via e-mail and convo as a .jpg or PDF file. Coordinating items are available in the Party Extras section of shop. 1. Please select size, format, and/or color change (if available) via dropdown menus. 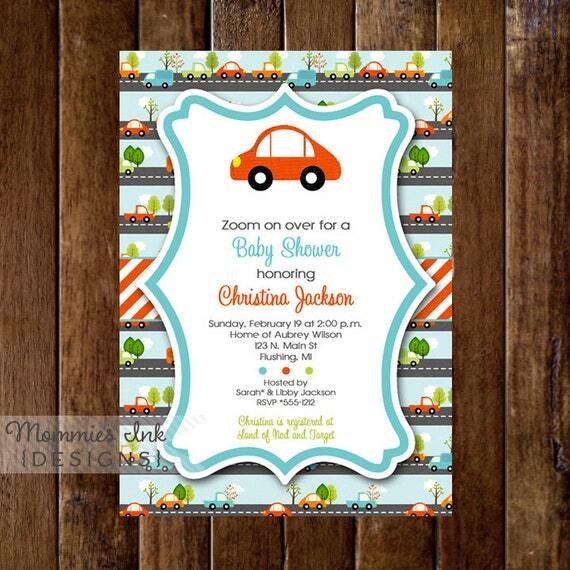 Custom colors are available on many invites for a small additional charge. Please ask questions prior to purchase. 3. Within stated turnaround time, you will receive your order via e-mail and Etsy convo. File will be sent to the e-mail address listed on Etsy account, unless otherwise specified. +Font style & font color changes are included with purchase. +Wording changes are included with purchase. -Graphics changes & color changes are NOT included with purchase. Please keep in mind that colors may vary slightly depending on your computer monitor and printer. All designs are meant to be printed on WHITE paper/cardstock. All cards/invitations/products are for personal use only. You may not forward, share, sell or distribute the file(s), in whole or in part. They are for non-commercial use only. Mommies Ink retains all rights.